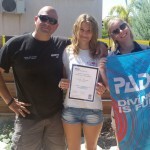 Dive In Limassol runs 4 IDC’s each year, with our very experienced Course Director. Dive In has been training PADI Professionals since it started 23 Years ago. In this time we have trained over 1,530 PADI Professionals who are now working all over the World teaching the World to dive. At Dive In we are also proud to have Jurg Dalher as our Course Director, he has an outstanding reputation in the Diving Industry and with PADI due to his dedication and professionalism in teaching Diving and IDC’S. Congratulations to Jurg, Dive In’s PADI Course Director, on achieving his Gold Course Director status for 2016/17. 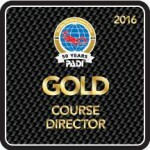 He is one of only 74 PADI Gold Course Directors in The World! 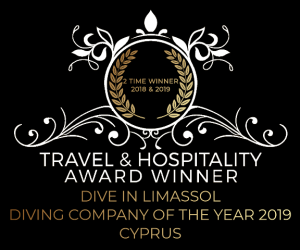 This is a great achievement and goes to show his Professionalism and enthusiasm in all that he does. Since becoming a CD, Jurg has issued just under 2,000 Instructor ratings! I myself did my IDC with Jurg, and Dive In is proud to have him as our CD. 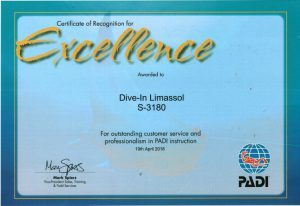 He is soo good and we have complete faith in him, that my daughter did her IDC with Jurg and passed the PADI Instructor Exams last October. Her PADI Instructor Examiner was Vikki Batten, a Director of Rebreather Technologies in the Technical Division, an Instructor Examiner and a Technical Diving Consultant in the Training and Quality Management Department. Dive In has been a 5 Star Instructor Development Centre since 2000, and we run 4 PADI Instructor Development Courses a year. We are so confident of our IDC that we even offer a Guaranteed Pass if you attend our full IDC Programme, as well as full Master Scuba Diver Trainer (MSDT) Prep, to really give you ahead start in your new career. We have a dedicated IDC Website where you can find a huge amount of information on our PADI Go Pro Programmes. 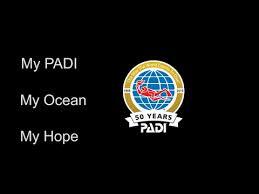 To commemorate 50 Years as a Scuba Diving Training Agency PADI will be releasing this year more videos and a limited edition Black 50th Year Certification Card. PADI can be an agent of change. Enlisting the powers that the PADI members have. To spread the word…to engage people, to engage the world. To take care of the ocean that takes care of all of us. Her PADI Instructor Examiner was Vikki Batten one of PADI’s most Senior Members, she is currently The Director of Rebreather Technologies in the Technical Division, an Instructor Examiner and a Technical Diving Consultant in the Training and Quality Management Department. The full article was publish in Sports Diver, and can be read here. 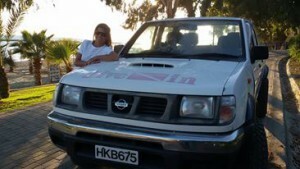 We are delighted to welcome Chloe to the Instructor Team at Dive In.